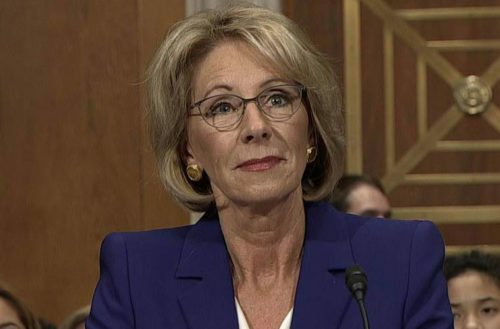 Billionaire daughter and U.S. Secretary of State Betsy DeVos once said that she saw education reform as a way to “advance God’s Kingdom,” so it makes sense that she just told Congress that she’s okay with using taxpayer dollars to fund religious schools that discriminate against students with LGBTQ parents. 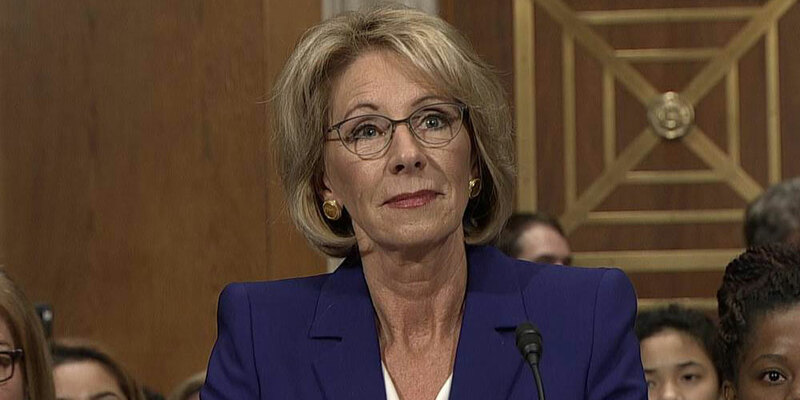 Yesterday, during a hearing with a House Appropriations subcommittee, Massachusetts Representative Katherine Clark asked Devos if states should be able set their own rules on whether federally funded schools can discriminate against students for any reason. Specifically, Clark brought up Lighthouse Christian Academy, an Indiana school that gets $665,000 in federal funding even though their literature rejects students with LGBTQ parents. With one minute left in Clark’s questioning period, DeVos thanked Clark and tried to pivot to an earlier question, talking about “school choice” in general. “For states who have programs that allow for parents to make choices, they set up the rules around that,” DeVos replied.